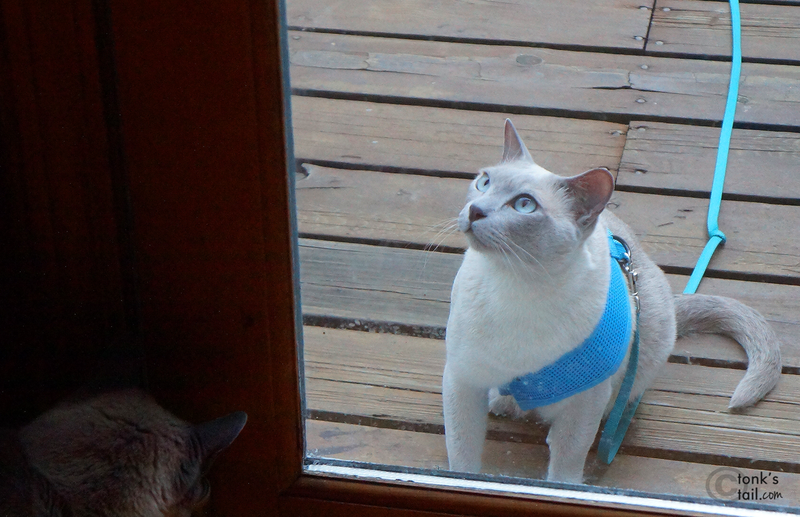 This post is sponsored by The Nuzzle Smart GPS Collar and the BlogPaws Professional Pet Blogger Network. I am being compensated for helping spread the word about the Nuzzle™ Indiegogo Crowd Funding Campaign, but A Tonk's Tail only shares information we feel is relevant to our readers. Nuzzle is not responsible for the content of this article. Did you know today is National Nut Day? All we kitties can say is our mom must have some mad Google skills. No, mommy, that is NOT a compliment. Fine kids. But I'm still celebrating. And with all due respect to the peanut, almond, cashew and other nut companies, I'm not talking today about that kind of nut. "Who you calling nut? Looked in the mirror lately?" 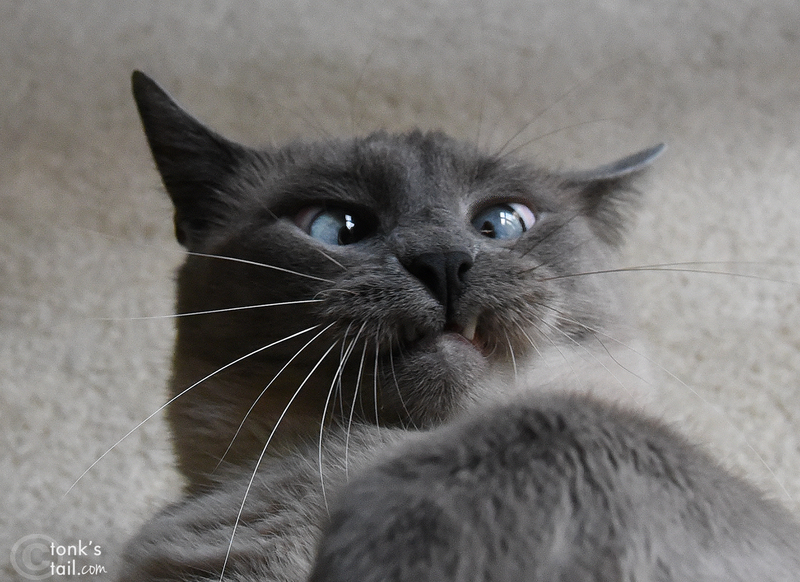 We have four nuts in the family, three of the feline kind and one of the two-legged variety. I, of course, exclude myself. What in the world, you may ask, does this have to do with Nuzzle™, and what the heck is Nuzzle anyway? Other than that thing Maxie does with me when he's not channeling Mister Bean. Nuzzle is a new smart collar that provides GPS tracking without the monthly fees. They're currently seeking people who might be interested in what their product will offer and are launching their Indiegogo campaign today at this link here, where you can preorder your own. What's different about this collar vs. one currently out on the market? 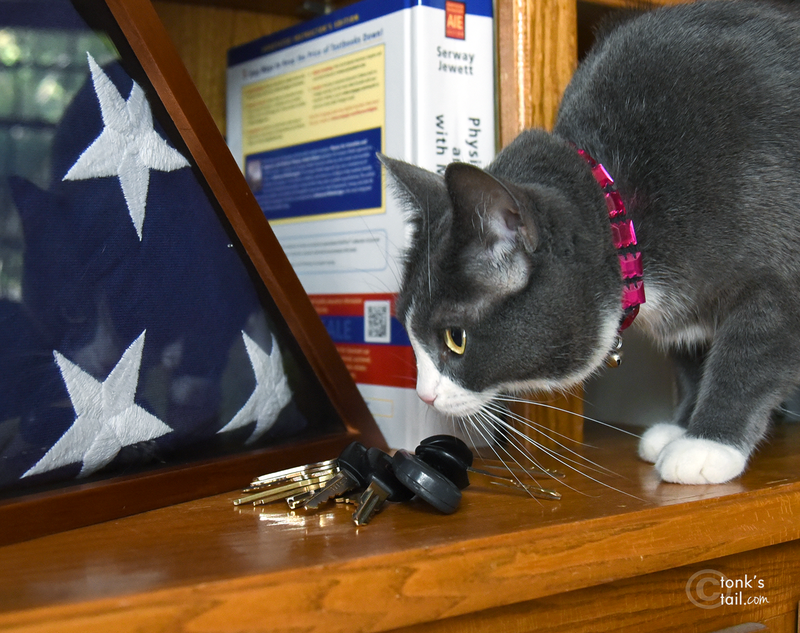 Nuzzle is the ONLY smart pet GPS product that will not require a monthly fee. They're taking on the costs of the cellular data plan so you don’t have to. 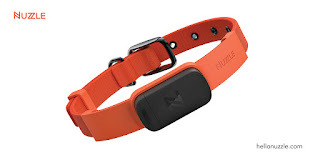 Nuzzle also provides a spare removable battery (the black part, seen above) so your pet's collar never has to come off, and it's never left uncharged. As far as what National Nut Day has to do with Nuzzle? I would feel far more comfortable with "Marty & Allie's Outdoor Adventures" if I knew that, should Allie somehow slip away from Marty, he could easily find her on his phone because she's wearing a collar like this. Because some nuts need a little extra coverage. Yes, you heard right. There is a Nuzzle app you can download that will show you exactly where your pet is. I also like that it's a GPS product vs. a bluetooth one - which we've tried before. Bluetooth = total fail, by the way. All it has is a proximity warning that would go off while she was standing right there. So I attached it to Marty's keys. Because he's always losing them. Always. aaaaaaalwayyyyys. Honestly, it's about the size of the collar-cam I once attached to Allie's collar, so some kitties might not mind it at all. 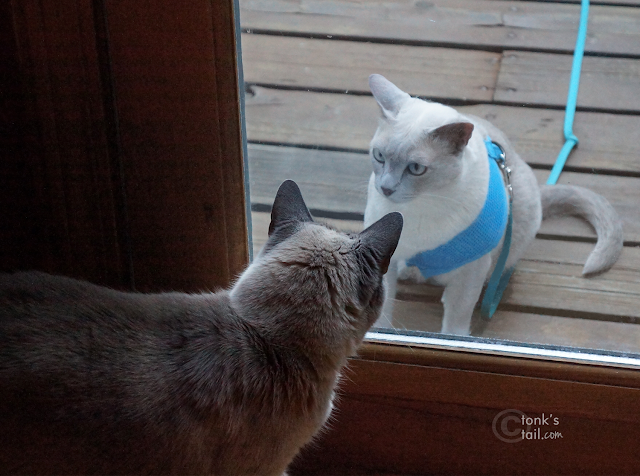 Faraday: Let me IN Maxie. Maxwell: Dood, wait. you want IN??? I want OUT. Faraday: Take a good look, Maxie. This harness is not working! And do NOT call me a nut, Mommy. I'd feel a LOT more comfortable if my cats were GPS trackable. Not that they go out unsupervised. But even indoor cats might someday need to be found. You see, tragedy can strike anywhere, at any time: fire, flood, tornado. 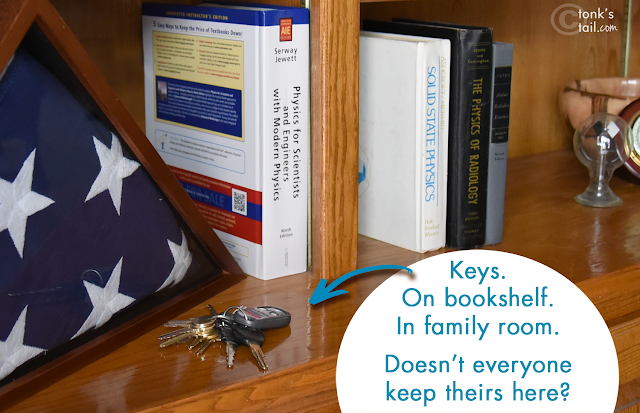 October is National Fire Prevention Month and if you've never read the story about fellow blogger Sebastian whose family lost everything they owned in one tragic night, you should. Because it could happen to you. And in that specific situation, although Sebastian was saved, some pets in neighboring apartments escaped. Some were found, some were not. This tracker could have saved a lot of heartache. • Geo-fencing: you'll be able to create a virtual fence on the Nuzzle app on your phone. When your pet leaves this fence, you’ll be alerted automatically. • Impact detection: Nuzzle will notify you if the collar has been hit hard. Your pet may playing rough, but he may have gotten into an accident. • Waterproof: the collar can survive a rainy day and some puddle play. • Temperature monitoring: the collar will be able to detect temperature. If your pet is outside too long in the cold, you’ll know. 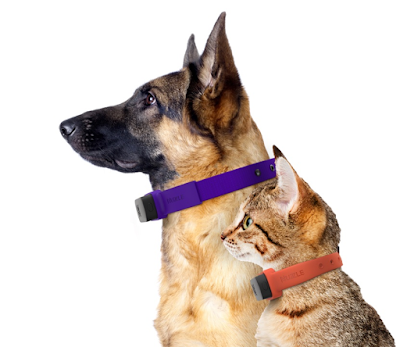 • Detachable tracker portion: the Nuzzle tracker can be detached and reattached to your personal collars and harnesses. Allie: Oh Father! I found your keys! I'm not even asking why Allie can find them and he can't. Nope, not going there. For more information on Nuzzle and their Indiegogo campaign, they can be found on Instagram, Twitter and Facebook. because she can smell them. Interesting idea.. I wish them luck! Allie had mad key-finding skills. Seriously. Oh, Pawppy?? Can we get one?? Fur Christmas? Except, well we don't wear collars, sorry meowmy, MOL!! Nuzzle said that the GPS tracker can be attached to your own collar - so if it got snagged it could break away (assuming the collar was the breakaway kind). Whoa! Amy in triplicate! Sorry. National Nut Day? Is that why TW was crawling under the kitchen table. Oh wait, she was cleaning up the mango juice she spilled. MOL! That's a really cool product...I hope it's successful! Heheheh these pics are adorable and I want one of these Nuzzle collars for Dex!